Beethoven - Symphony No. 3 in Eb major, Op. 55, "Eroica"
Composer Ofer Ben-Amots is an Israeli-American composer and teacher of music composition and theory at Colorado College. Mandolin player Sierra Hull played on the stage of the Grand Ole Opry when she was only 11 years old. Beethoven’s Symphony No. 3 was originally titled “Bonaparte” to honor Napoleon, who he believed embodied the democratic and anti-monarchical ideals of the French Revolution. He renamed the piece “Eroica” in response to Napoleon proclaiming himself Emperor of the French on May 14, 1804. Sierra Hull began playing the mandolin at the age of eight and self-released the album Angel Mountain at age 10. She was soon playing jam sessions with other musicians in her family, and by 2001 she was entering local talent contests. Her parents took her to numerous bluegrass festivals and it was during an International Bluegrass Music Association festival that she came to the attention of Rounder Records chief talent scout Ken Irwin. At age 11 she was mentored and befriended by Grammy Award-winning musician Alison Krauss. Two years later, she signed with Rounder Records, and soon became known as a remarkable mandolin player, a tone-true vocalist, and a recording artist of high order. From 2016-2018, Hull has been recognized as the International Bluegrass Music Association’s “Mandolin Player of the Year.” Her most recent album, Weighted Mind, was Grammy nominated for “Best Folk Album” in 2017, and in 2018, she made her debut at the 52nd Country Music Association (CMA) Awards. Other accomplishments include performing at the White House in November 2011 with Alison Krauss and Dan Tyminski, as well as at Carnegie Hall and the Kennedy Center, and becoming the first bluegrass musician to receive a Presidential Scholarship to attend the Berklee College of Music. To learn more about Sierra Hull and her album Weighted Mind, visit www.sierrahull.com. 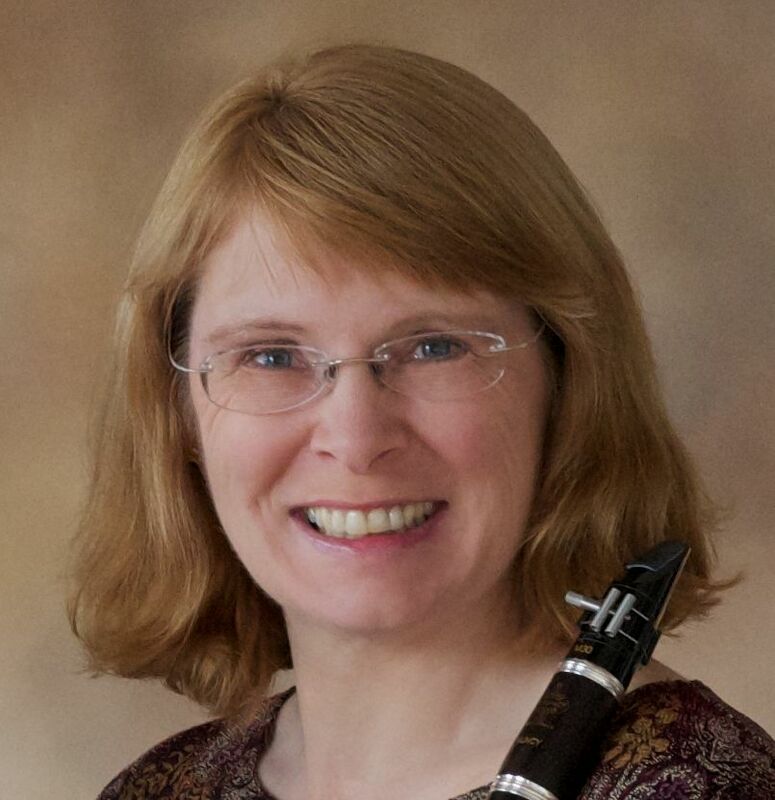 Shannon Scott is Assistant Professor of Clarinet, Music History and clarinetist for the Solstice Wind Quintet at Washington State University School of Music. In Fall 2014 Scott was appointed principal clarinet of the Walla Walla (WA) Symphony. In summers she teaches and performs at the Eastern Music Festival in Greensboro, North Carolina, and at the Red Lodge (MT) Music Festival. From 1988 to 2006 she was principal clarinetist of the Tulsa (Oklahoma) Opera Orchestra and the Tulsa Philharmonic Orchestra. Before joining the Tulsa Philharmonic she served as associate principal clarinet of the Orchestra of the Opera of Lyon, second clarinet for the Grant Park Symphony in Chicago, and played in the Marlboro Music Festival, where she participated in Music from Marlboro tours and recorded for the Marlboro Recording Society. Scott holds degrees from Juilliard, Ecole Normale de Musique de Paris, Conservatoire Regional Marcel Dupre, Yale University and Northwestern University. Member of the Scott/Garrison Duo (flute and clarinet) with husband Leonard Garrison, their CDs Barn Dances and Perennials are on the Albany Records label. Keith Reed grew up playing bluegrass banjo and guitar with a group of traditional bluegrass musicians from the southeast. This early immersion of bluegrass traditionalism and its inherent culture led him to pursue an AA degree from South Plains College in TX, the only school offering a bluegrass program at that time. Keith then chose to pursue his BA in classical guitar, finding the techniques and passion of classical guitar vital to his development as a musician. Touring and performing have been a constant in Keith’s musical career. Becoming a Rounder Recording artist with the band Open Road led to extensive touring to include performances at the Ryman Auditorium and the Kennedy Center, and two critically acclaimed recordings. A seasoned musician, he continues to perform with a variety of professional acoustic artists. Keith teaches bluegrass guitar, banjo, and bluegrass ensemble at Colorado College.